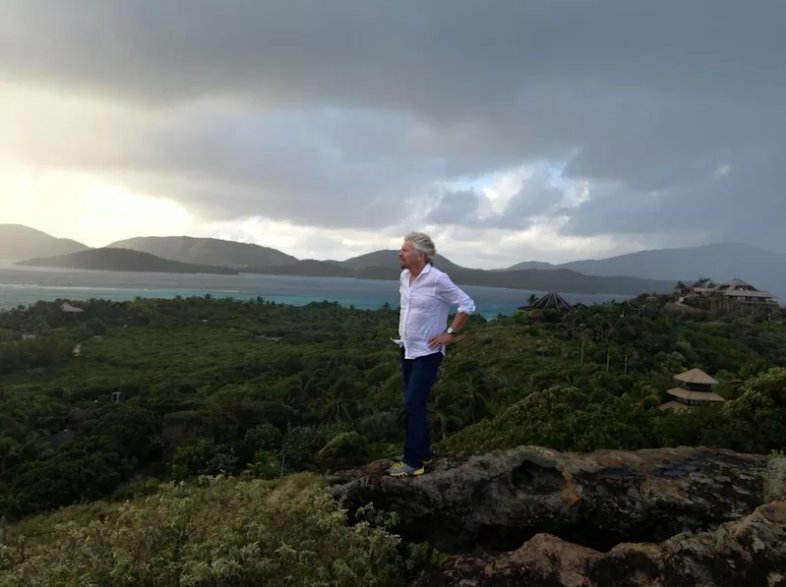 As most people are trying to get out of the way of Hurricane Irma Richard Branson of Virgin Voyages is riding it out on his private Caribbean island. Founder of Virgin Richard Branson who has also got Virgin Voyages under his umbrella is bunkering down on his very own private island in the Caribbean. Necker Island is a tiny island in the eastern British Virgin Islands which is suffering from major category 5 Hurricane Irma. Branson himself has been keeping everyone updated on Twitter and on the island they are fully prepared with plenty of wine! Since yesterday the team on the island have been getting things ready for what will be the most powerful Atlantic storm in history. he has mentioned that on Necker Island things are well built but who knows with a category 5 with maximum sustained winds of 185 MPH. Richard Branson and his team have been riding Irma out in a concrete bunker cellar underneath the house to stay safe. Around the same time many popular cruise ports have and are still being hit. St. Marteen which a popular cruise destination has suffered major damage in the aftermath. We do hope Branson and his team make it out ok and manage to keep some wine left. Virgin Voyages is a new cruise line which will launch its first ship out of Miami, Florida in 2019. You can see which cruise ships are being impacted due to Hurricane Irma here.